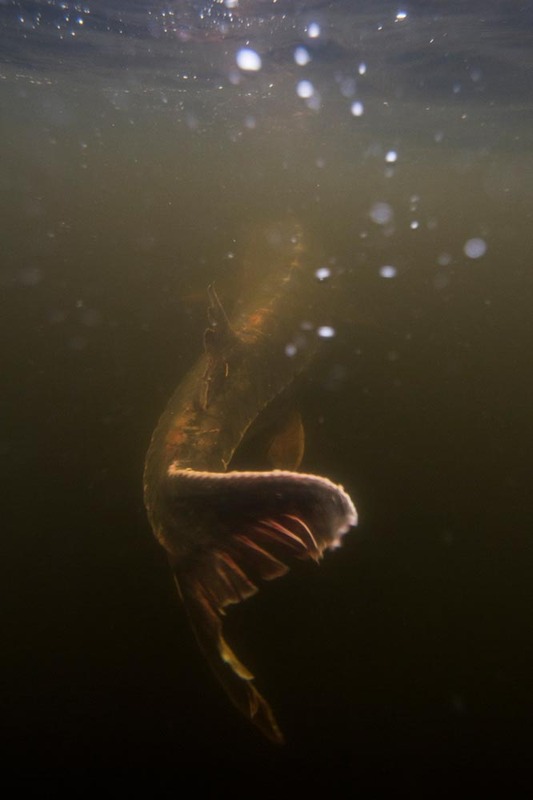 "A tagged Atlantic sturgeon being released back to the wild." 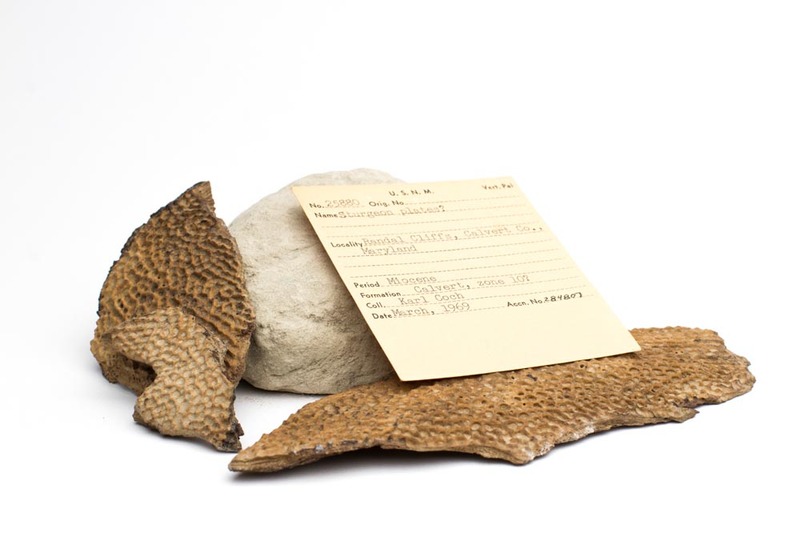 "A sturgeon fossil from the Miocene Epoch, 23 million years to 2.6 million years ago." 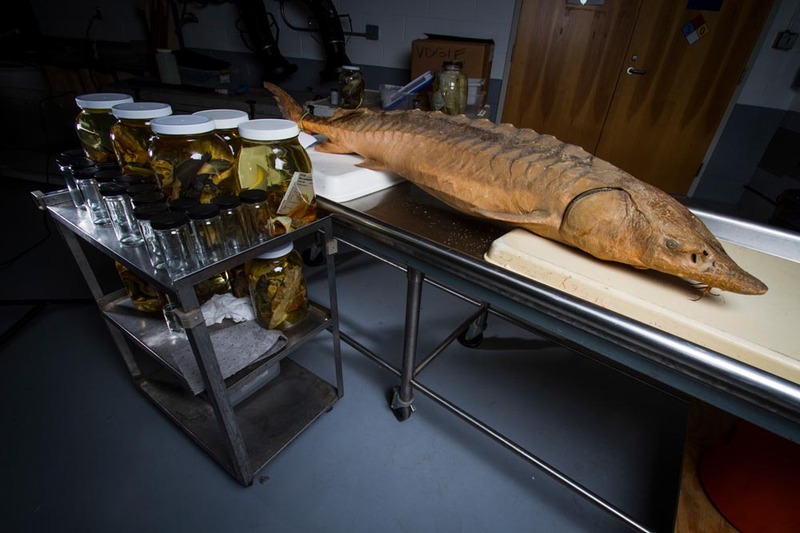 "Preserved Atlantic sturgeon specimen at the Virginia Institute of Marine Science." 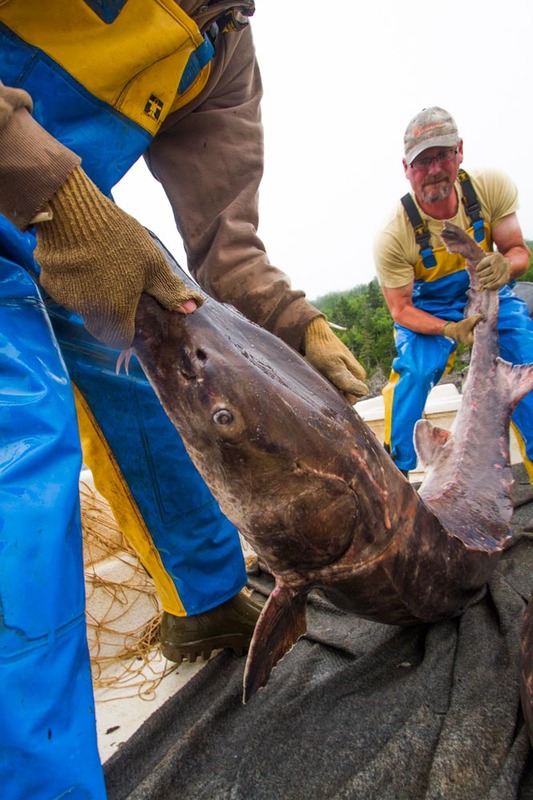 "Billy and his son Billy Jr move an Atlantic sturgeon after detangling it from the gill nets they use. " 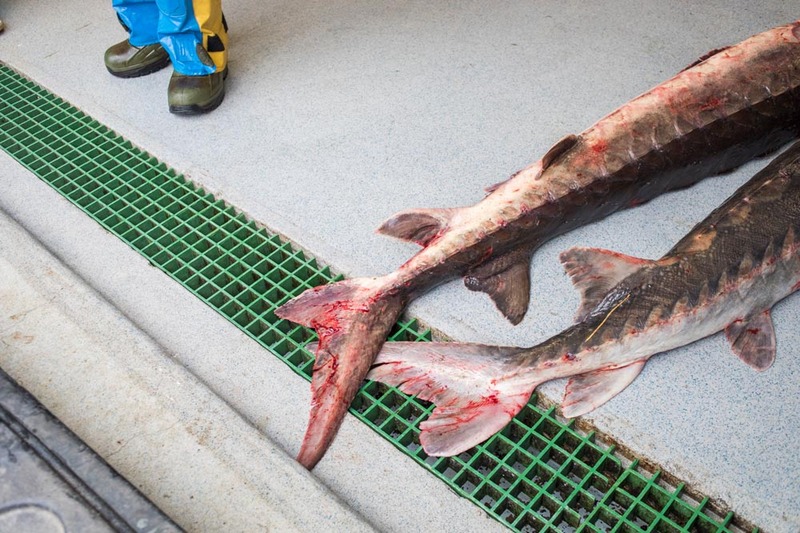 "Two sustainably caught Atlantic sturgeon are brought in for processing."